Term “bruxism” is used to describe so-called parafunctional activity taking place during the day and at night – in other words it is an activity which should not take place in case of a healthy person. A holistic approach towards our patients. 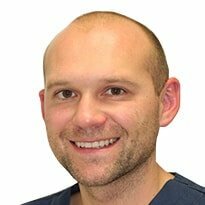 We perceive the teeth and dental articulation as a significant element of the entire chewing organ, the movement organ and, consequently, the connection with nervous, muscular, hormonal, bone, blood system … in a nutshell, we analyze the teeth from the perspective of a network combining other organs and systems. A human being consists of the body and mind, psyche and soma. The aforementioned elements cannot be separated, just as one cannot completely ignore the function of various organs in reference to remaining body parts. Health depends on the general condition of our body, it depends on our approach to life and the world. She specializes in functional disorders of the masticatory organ, Invisalign aesthetic orthodontics, functional orthodontics. She graduated from the Pomeranian Medical University in Szczecin. 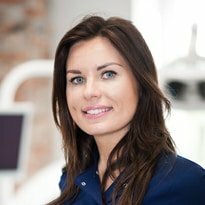 For 13 years she has been associated with the Department of Prosthodontics at the Pomeranian Medical University in Szczecin. She completed doctoral studies at PMU in 2013. Her dissertation was titled: “The influence of the curvature of cervical lordosis on temporomandibular joint function in tests performed using Cadiax Compact 2”. Since 2004 she has been running her own practice. 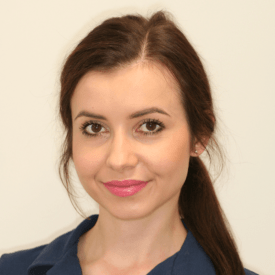 She worked in a private Szczecin dental clinic for several years as a specialist as regards the diagnosis of functional disorders of the masticatory system. Since 2017 she has been the co-owner of dental and aesthetic clinic called Lighthouse Dental which is located in Szczecin. From the very beginning she was fascinated by functional disorders concerning the masticatory system: temporomandibular joints, short-circuit disorders, muscular disorders, bruxism. 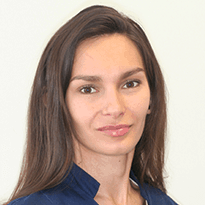 She broadens her knowledge during numerous courses in Germany (Bumann, Ketchner), Austria (Schindler – Slavicka school) and from lecturers from the United States (including Kerstein – T-Scan, Dawson, McArthur, Walker, Piper, Droter and others) . Member of IAO – International Association for Orthodontics. She graduated from the Pomeranian Medical University in 2006. She completed her PhD in the field of dental prosthetics in 2011. 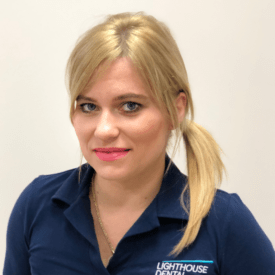 Since 2017 she has been the co-owner of a dental and aesthetic clinic Lighthouse Dental which is located in Szczecin. 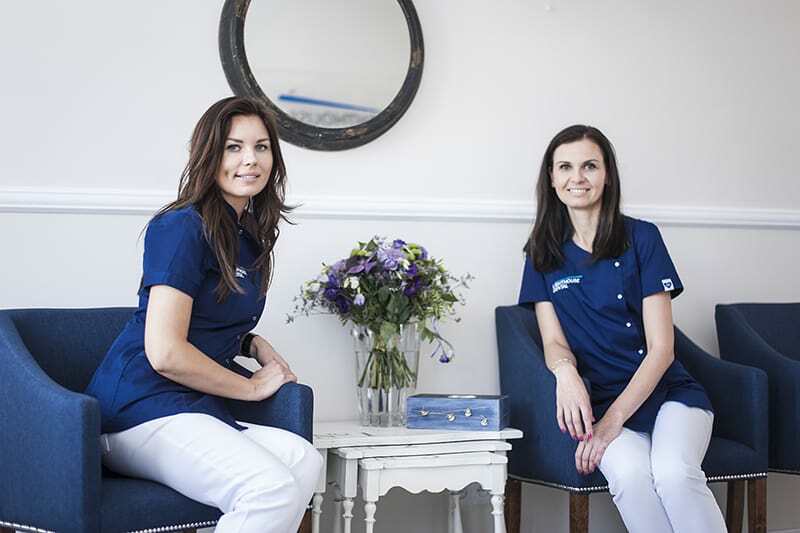 For years she has been creating the visions of a beautiful and healthy smile thanks to hers experience and in a successful manner. It has been possible due to interdisciplinary combination of aesthetic dentistry, prosthetics, including functional disorders of the masticatory system, implantology and periodontology. She performs regeneration of periodontium, gingival grafts, correction of frenulum in an effective manner thanks completing Periodontological Curriculum. 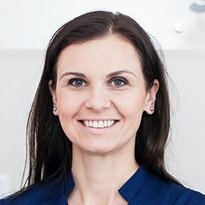 As she is a member of the Polish Society of Aesthetic Medicine and Anti-Aging, she creates a “beautiful frame suitable for the image” in a holistic way using the latest techniques, among others, hyaluronic acid, botox, platelet-rich plasma, threads, IQ plasmas. In life she follows the concept that “everything starts with a smile”. In her private life associated with horse riding since she was a child. Her passion for nature is realized while playing golf. She enriches her soul with reading good books, dancing and travelling.